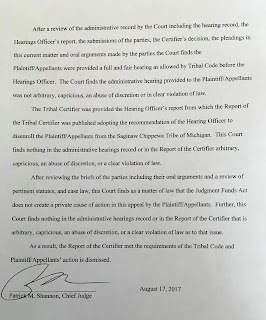 Color me SHOCKED. 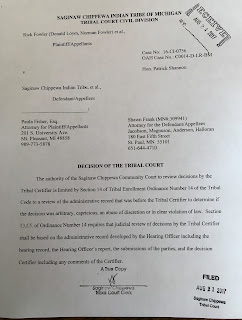 The the matter of tribal disenrollment at the Saginaw Chippewa tribe, Who would believe that a Judge whose job depends on ruling what the Saginaw Chippewa Tribal Council wants, would rule in their favor? Or just as truly, when asked to review his previous decision on the disenrollment, he agreed with ....uh...himself? 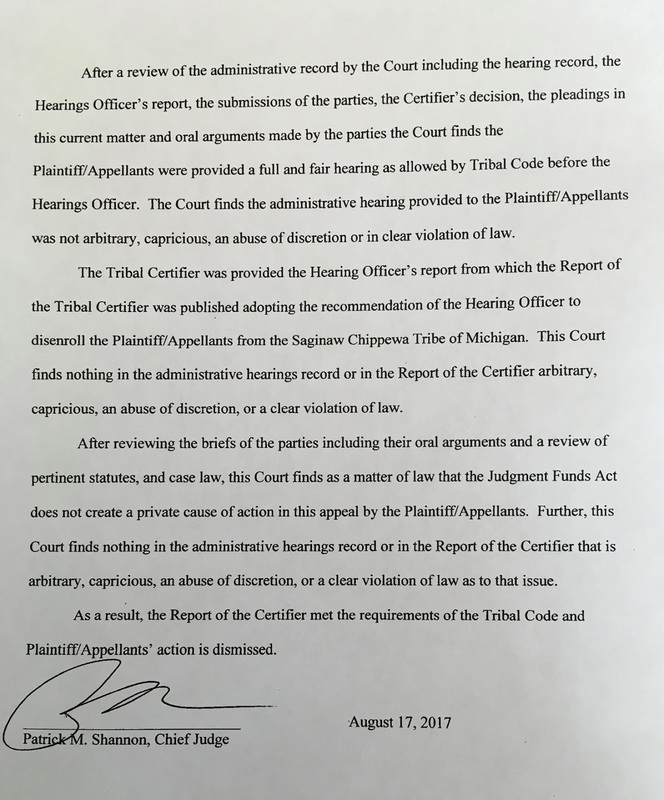 Disenrolled Saginaw Chippewa AWAIT Judge's Decision. Will the ANCESTORS be HONORED, or DISMEMBERED? 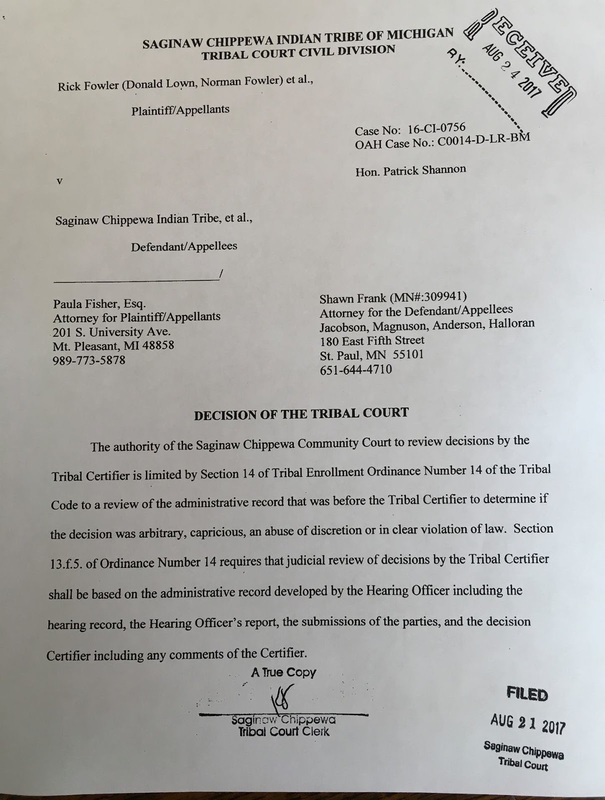 You can find more Saginaw Chippewa stories in the search bar.